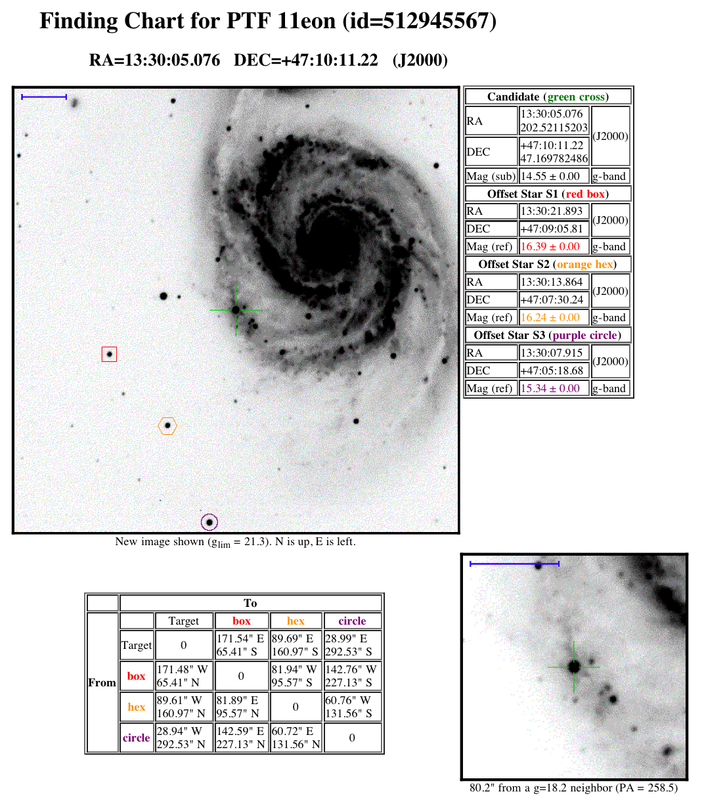 Polamar Skies - Amateur Astronomers Can Help PTF Study Supernova in M51 | Astro What? Earlier today I reported the discovery of a new Type II Supernova in the Whirlpool Galaxy (M51). The astronomers behind the Palomar Transient Factory have initiated a world-wide effort to collect amateur imagery of M51 taken from May 30 - June 2 to best constrain the explosion time of the massive star. The supernova is known as "PTF 11eon" to the PTF team, but as SN2011dh to the larger world. A finder chart for it is shown below. Any amateur astronomers who have raw images of M51 taken between May 30 and June 2 are encouraged to contact the PTF team at this address: ptf11eon@gmail.com. For more on the supernova, check out this article from Sky & Telescope or this one from Universe Today.